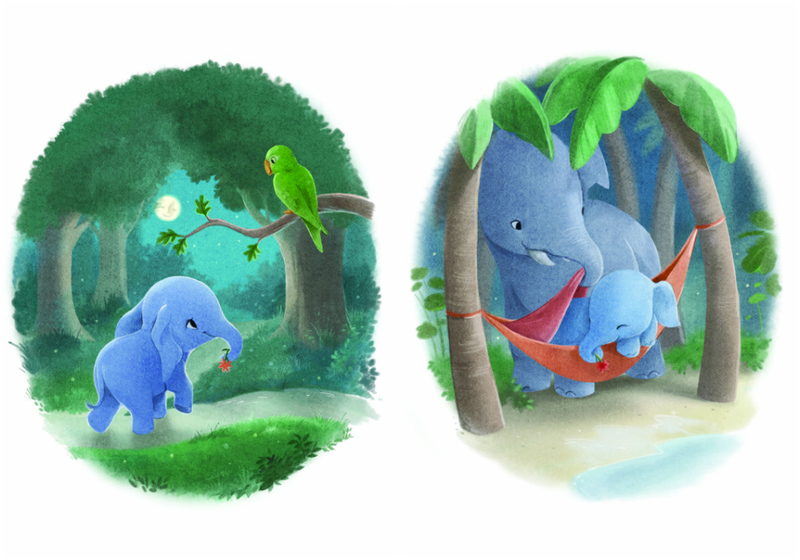 Carl-Johan, the author of The Little Elephant Who Wants to Fall Asleep, gives his top tips for a successful night-time routine with your little one, based on what parents have told him after reading the first book in the series, The Rabbit Who Wants to Fall Asleep. Even if your child doesn’t fall asleep after you have read the whole story the first time, try reading it again. Give the book a real chance, even reading it through a couple of times. I remember a letter from one family in particular who said that bedtime could take up to five hours each evening. So they started to read The Rabbit Who Wants to Fall Asleep. The first evening, they read the whole story two and a half times before their child fell asleep. The following evening, they only needed to read the story once. Over the next few evenings, the length of time shrank further, and by the time they sent their letter, a week or so later, they were down to about eight minutes per evening. Bedtime went from five hours to just eight minutes, thanks to their persistence and faith in the book. Some children will want to look at the pictures while you read the story, and some prefer just to listen. If your child is able to lie down in bed and listen to the story instead of looking at the pictures, there will be less visual information to process and your child will be more focused on what you’re saying. My wife and I used the audiobook with our son before he was born. We started playing it when he was still in the womb, when we were going to sleep, so he made the mental connection between the story and sleep. After he was born, we played the audiobook every evening when it was time to go to sleep. Now, he is three years old and falls asleep easily in the evenings, with or without the audiobook, because he has learned to relax. Whenever he’s sick or if we’re travelling, we use the audiobook to help him feel safe and calm when it’s time to go to bed.